Manual and automatic. With FLEXITOL® tolerances are compensated continuously. The use of FLEXITOL® systems permits greater manufacturing tolerances, thereby allowing for more effective production methods. FLEXITOL® tolerance compensation systems were developed to compensate tolerances cost-effectively and to prevent warping during assembly. A reliable process flow in series production is ensured in this way. In addition, complex adjustment processes are made more efficient. Manufacturing processes, based on modular concepts, are a fundamental part of the automotive industry. 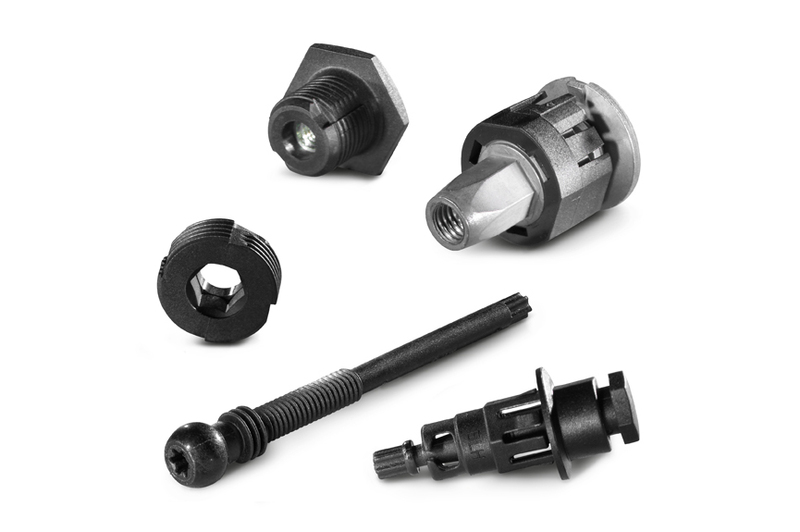 Individual components are supplied to the final manufacturer, which merely assembles them. During the development process, it is important to define appropriate tolerances to allow for series production. In this context, the FLEXITOL® automatic tolerance compensation system offers a technically optimized and cost-effective solution. Nowadays there are many examples of modular manufacturing processes in industry – for the assembly of machine housings, drawer runners, cab linings for utility vehicles or drive units for washing machines, for example. In the automotive industry too, FLEXITOL® ensures the necessary tolerance compensation, especially in the assembly of headlamps, rear lights, instrument panels, mudguards, door frames or roof ledges. Optimal compensation. 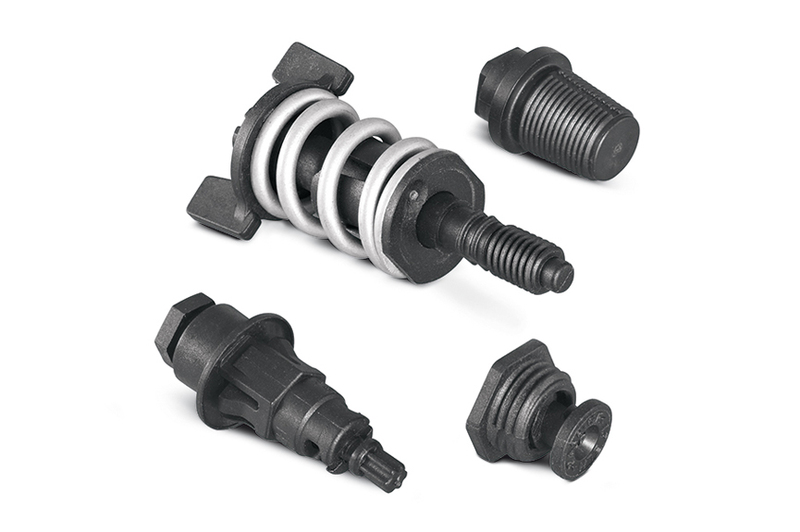 Appropriate tolerances for reliable series production. The cost-effective technical solution. Reliable function and first-class quality. Efficient processes. Short and economical cycle times throughout the production process. At present, we distinguish between manual and automatic tolerance compensation systems. The appropriate system depends on the area of use. If a component is to be aligned in a subassembly without the usage of tools, manual solutions should be chosen. 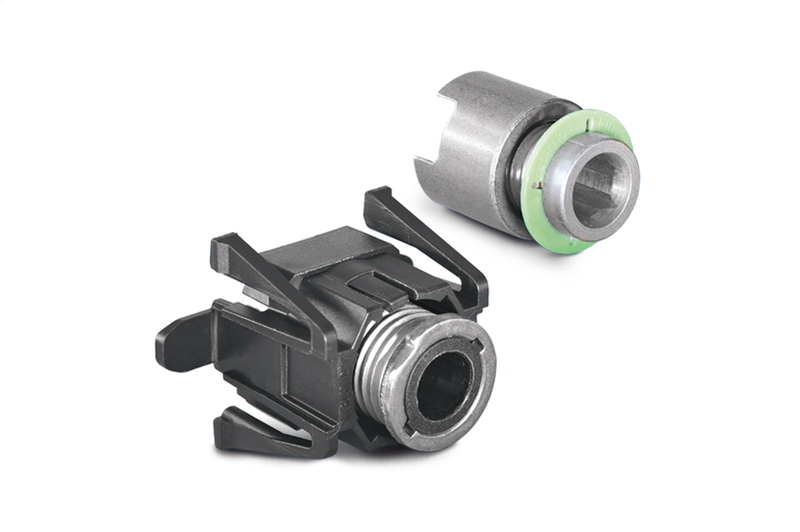 If the component clearance has already been established in a previous operation, it makes more sense to use automatic solutions. It is also possible to realize a combination of manual and automatic tolerance compensation systems, of course. 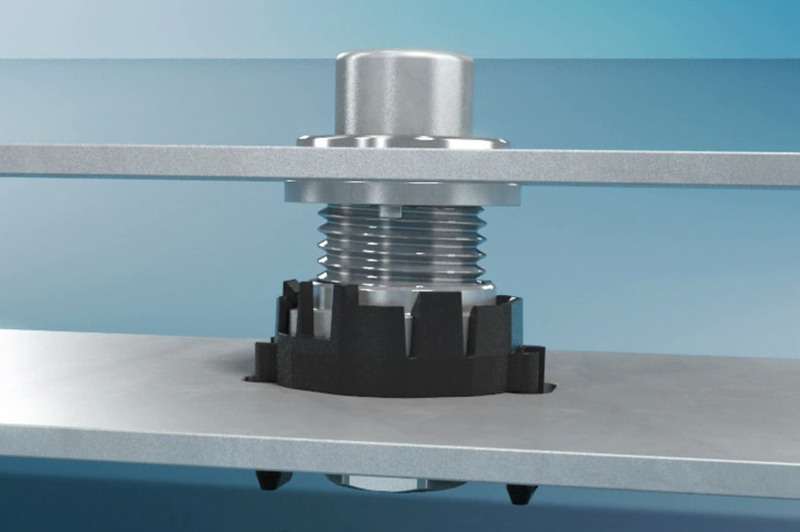 This tolerance compensation system is screwed into the receiving component to a defined position. 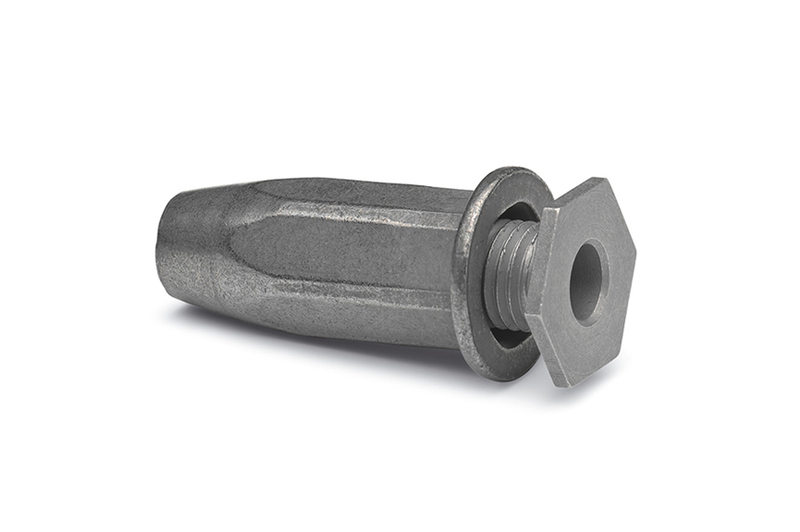 During the joining process, the component tolerances are compensated (zero tolerance at delivery of component). Further alignment is possible during assembly. When the joint is released, the set position is retained. Two components are aligned or positioned in relation to one another. When they are screwed together, the gap between the two components is automatically compensated. The tolerance compensation system fixes the originally aligned position. When the joint is released, the system returns to its base position. This two-piece system is made entirely of metal and can thus withstand high loads. The minimal space requirement in the joint makes this solution easy to install in an existing space – even retrospectively. FLEXITOL® Hybrid is a multi-part system intended primarily for use in large series production. The modular design makes it easy to modify differing base heights and tolerance compensation dimensions. 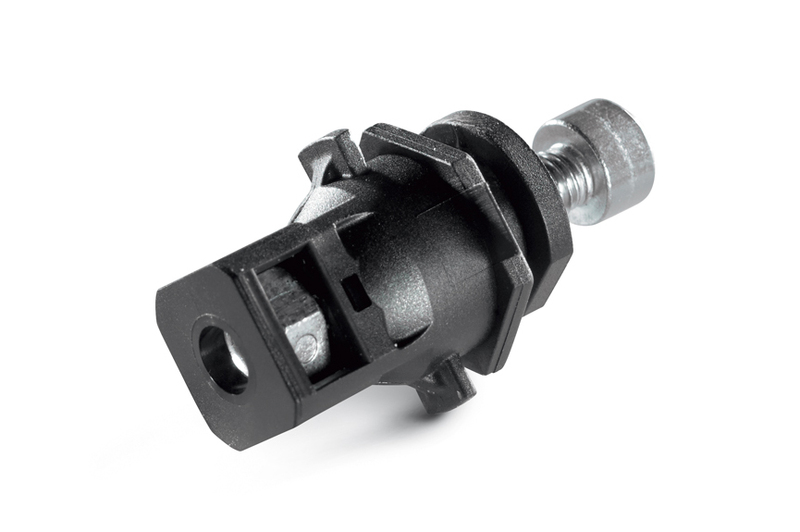 To ensure as high as possible a transmission of forces, in this hybrid solution (plastics/metal) the transmitting components are made of metal. They are also enclosed by a nut cage made of plastic. The system is supplied pre-assembled and can be installed in the receiving component in this configuration by means of a setting tool. 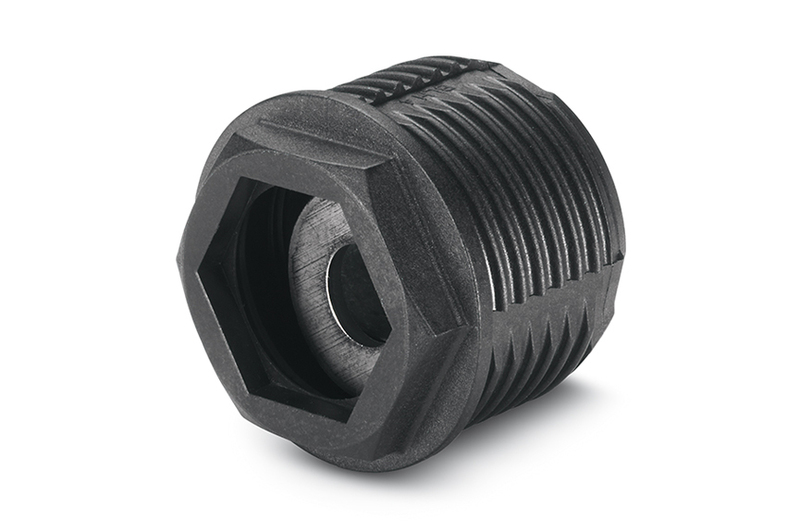 The integrated blind rivet nut is already present as a fastening thread. Alternative fastenings, such as clip solutions for example, are also available. 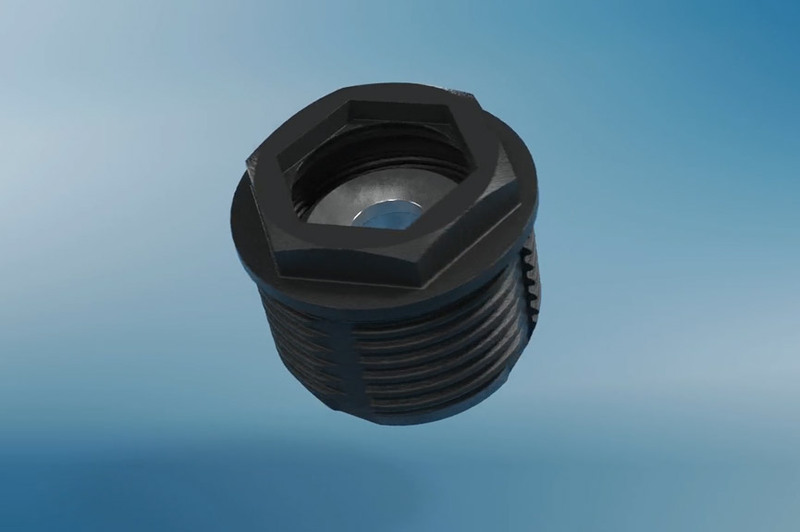 The FLEXITOL® Plastic consists of an adjustment element and a fastening element made of plastic, and is supplied pre-assembled. This subassembly is screwed into the pilot hole in the receiving component made of plastic. The bayonet variant offers an additional connection option for the base element. 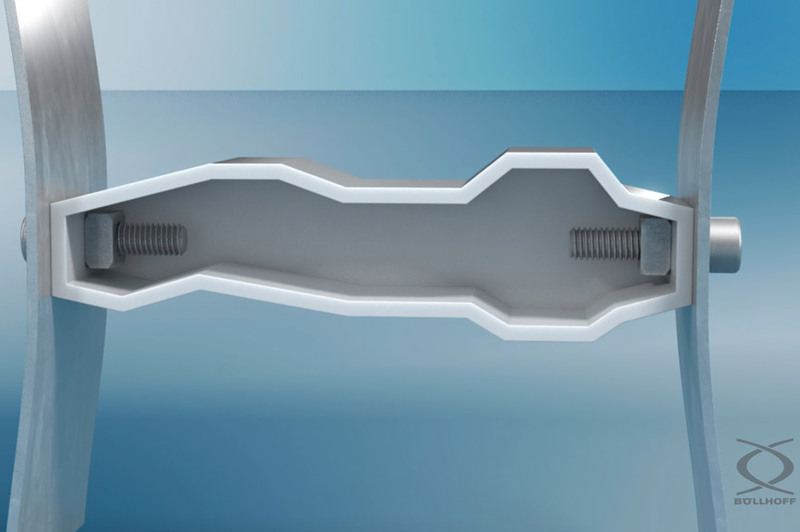 Here, the FLEXITOL® Plastic is introduced into a keyhole-shaped opening and latched by rotating it by a quarter turn. The subsequent installation procedure is identical to the one for the self-tapping variant. Depending on the version, a self-tapping metal screw or a metric screw can be used as the fastening screw. For so-called "banjo screws", the function of the K' in K' thread is also extremely important. 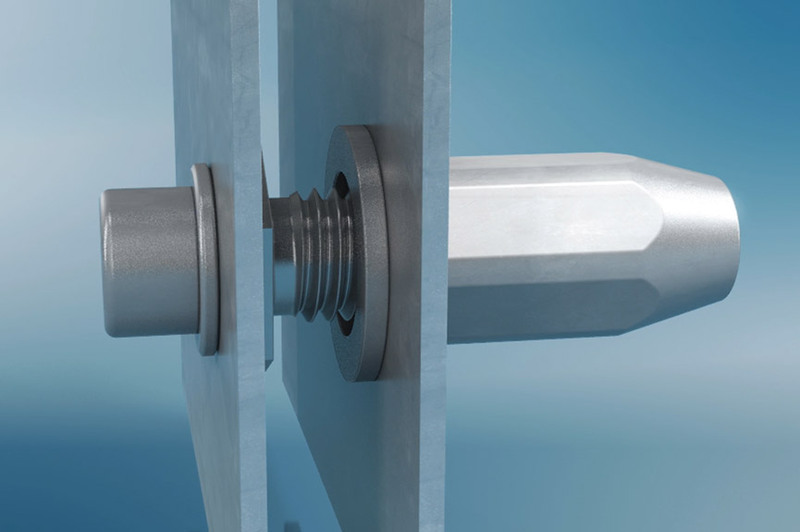 The K' in K' thread cuts its own pilot thread into the existing plastic bore hole. 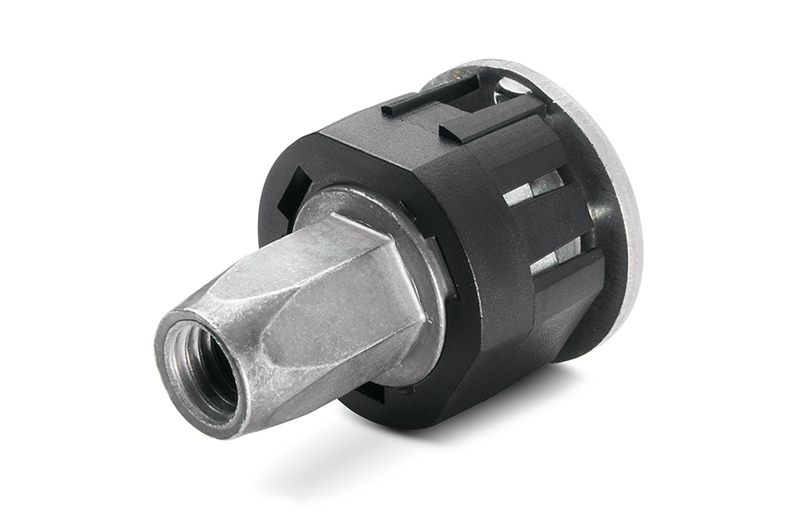 Due to a resistance effect, the banjo screw can only be screwed further in or out with a higher torque. Attaching a rear light with a manual tolerance compensation system. 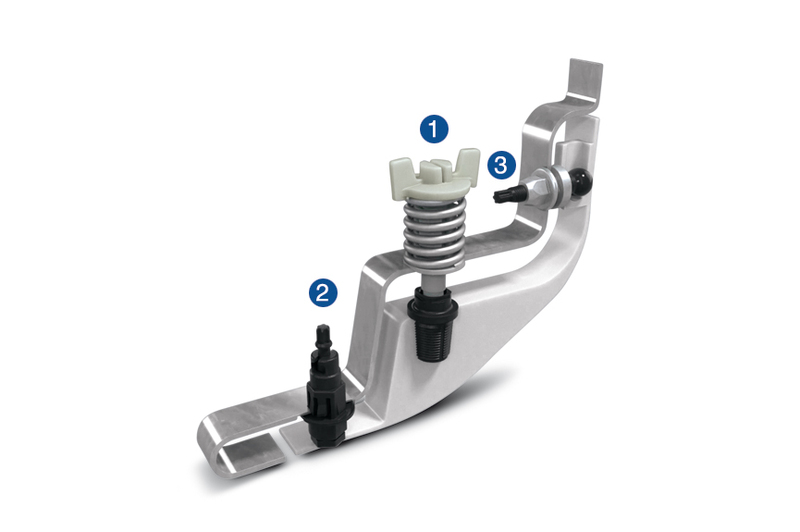 The spring unit (1) ensures that the rear light is always pulled onto the car body with a defined tensile load. 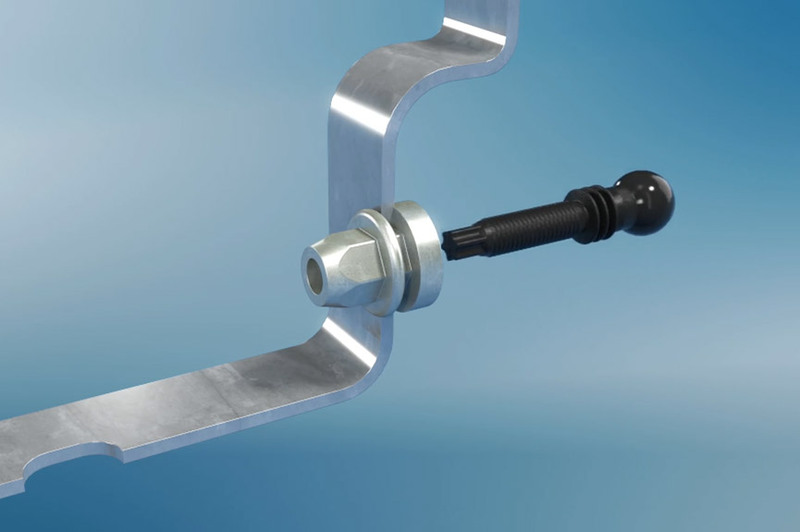 An additional contact point on the car body is provided with an adjustable spacer (2). In addition, the surface offset between the rear light and the side panel of the car body is achieved by means of an adjustable guide (3). During installation, the rear light is screwed to the spring unit of the car body from inside the trunk. Once installed, the rear light can be aligned to an ideal gap size. The spring compensates for the alignment movements. To be able to remove the rear light for servicing, the spring unit (1) can be unscrewed and the original position is maintained. Attaching the roof rail using a manual and an automatic tolerance compensation system. The thin metal of the roof membrane makes it difficult to transmit any great force when attaching the roof rail. 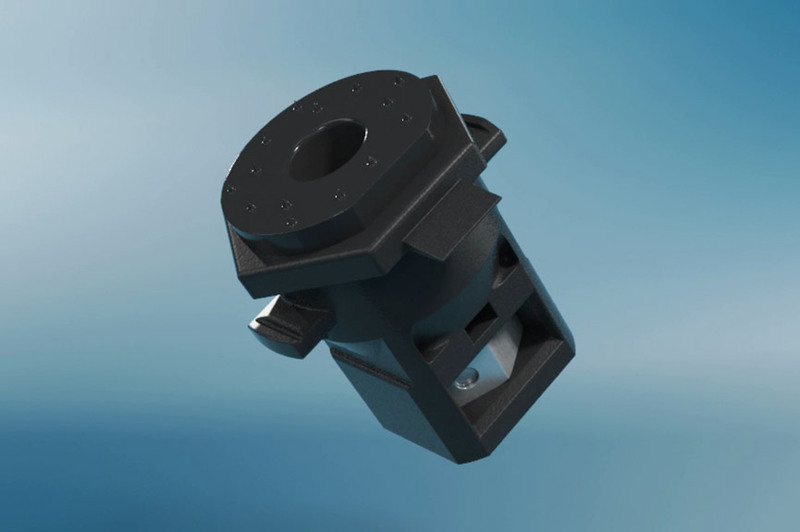 However, the problem is solved by means of a tolerance compensation specially developed by Böllhoff. It transmits the forces to the underlying metal layers. Tolerances within the roof edge have no influence on the gap between the roof rail and the roof membrane. There are various systems available, which can be pre-installed either on the roof rail or in the car body.